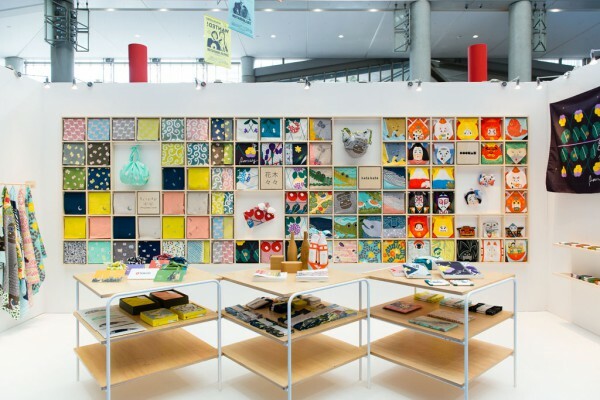 We designed the exhibition booth of Musubi, a furoshiki (wrapping cloth) manufacturer, for the Interior Lifestyle design fair held at Tokyo Big Sight. 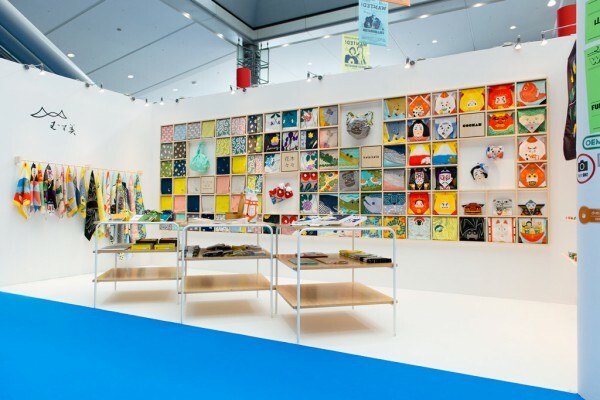 Deliverables included a booth presenting four of the manufacturer's line of products, "CHOMUSUBI", "KIGIHANABANA", "katakata" and "COCHAE". 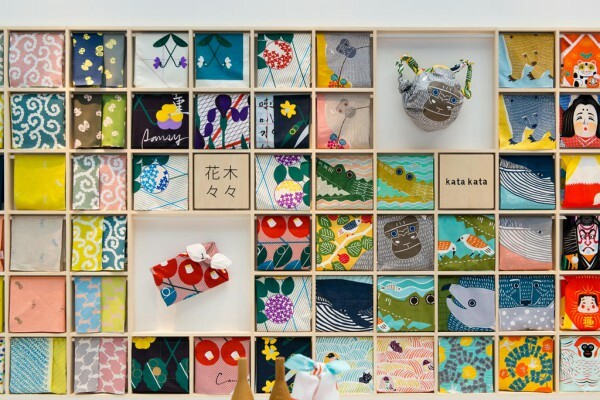 By hanging objects wrapped in a variety of ways using a display known as a "palette wall" on the front-facing wall, a concept initially proposed for their street-level store that opened in Jingumae, Tokyo, we sought to showcase Musubi products in a way that pops out at visitors while highlighting the abundance of designs available. 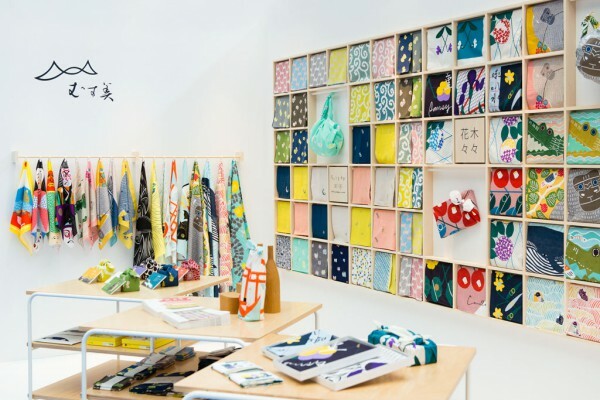 In addition, visitors were able to pick up furoshikis from hangers and unwrap them at leisure while admiring the various designs pinned-up to the other walls like paintings. 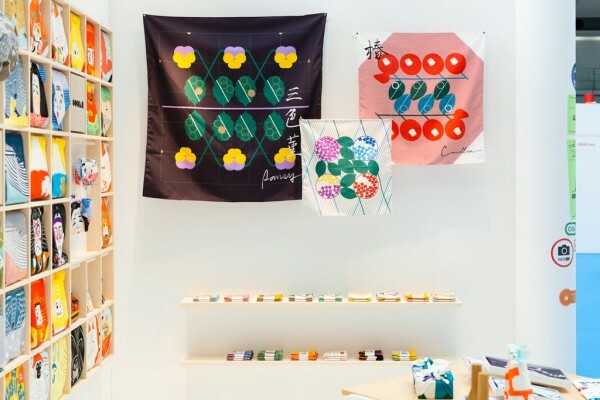 We strived to create an exhibition space in which visitors could take inventory of the brand’s wide variety of furoshiki designs, while becoming educated about the products on display in a way that is easy to understand.